If you read the press there has been a small, but very angry, negative response to any proposed bike route through High Street, Belmont. Despite this, the majority of respondents to the numerous city surveys has been positive. Now there is a move from businesses in South Geelong to stop the proposed section of the route along Moorabool Street, due to a loss of all-day car parking. 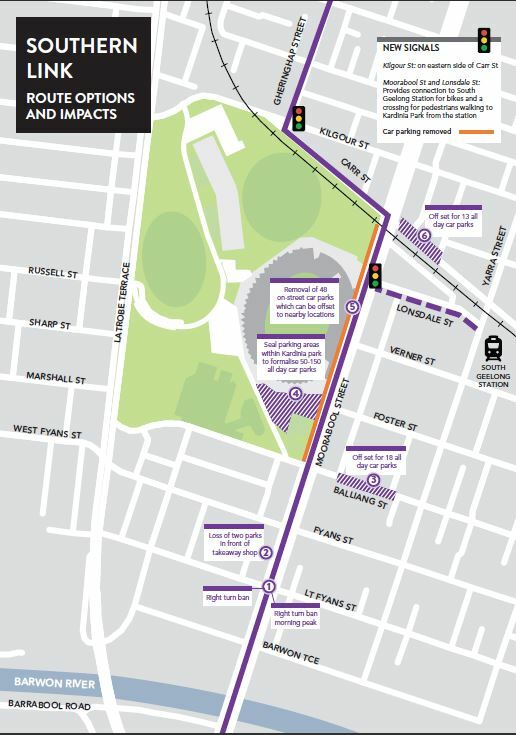 The proposed direct route – a 2-way separated bike path on the west side of Moorabool Street from the Barwon Bridge to Carr Street, then separated bike paths each side of Gheringhap Street to the CBD and Deakin Waterfront Campus. The long awaited off-road link between Boundary Road, East Geelong, and Garden Street, was launched yesterday. Around 20 cyclists and others attended. Despite the rain, the path was already in use. There will be improved access to Garden Street, with a dedicated bike lane south-bound, and a centre of the road island for those going north. 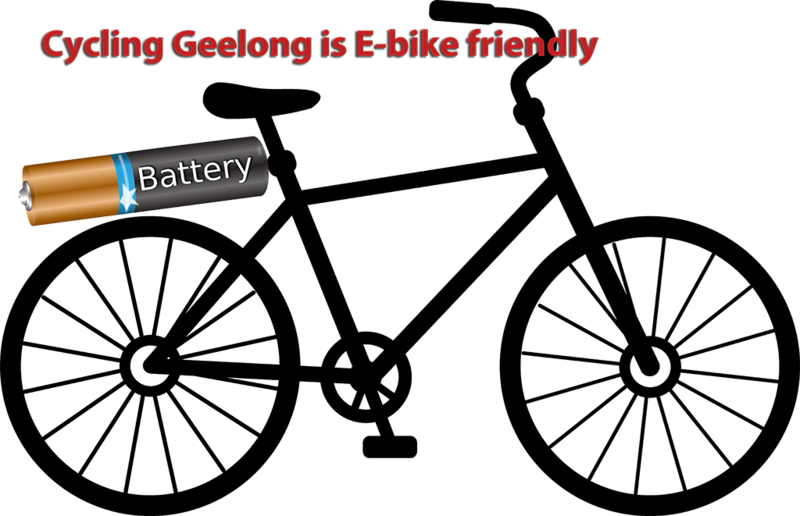 8:30am – Rippleside Park – 6 riders from GTC, 1 from Cycling Geelong. Where were you? The cycling conditions were perfect: the company on joint rides is always congenial: the distance was less than 70km. Ride sheet completed, Helen led (mainly from behind) David I, Rolf, Peter M (recently returned from shadowing the TDF – and riding all the climbs! ), Marie, Zolenko and Ian F. to Barwon Heads. Coffee was at Annie’s Provedore where a rare outside table was available. The usual cycology and philosophical discussions ensued before the group headed over the bridge to Ocean Grove, along Grubb Road and then along Portarlington Road back to Geelong. With the all clear from the leader (puffing along undaunted a ‘little’ behind the main bunch) David, Peter, Rolf and Solenko cruised away and were soon lost to view. At a more sedate speed, Ian and Helen enjoyed the mainly downhill run to Geelong where they rejoined Marie (who was riding very strongly as usual) before entering the urban area triumphant to have completed yet another super cycling circuit. Thanks to all riders – young and old, fast and slow**. Keep those pedals turning. **The ‘slow’ group’s average was 23+kph.